Becoming a great electric guitar player is possible, even if you started late or believe that lack talent. With the right tools and proper motivation you too can be jamming like guitar gods such as Malmsteen, Paul Gilbert or Greg Howe. This app showcases Otto Reina’s youtube videos of covers, lessons, improvisations, and licks that will motivate you and send you in a path of good tone, impressive performances and constant improvement. Otto’s impressive technique, precision, speed and tone are no god given, he has developed his powerful way to play guitar focusing on economy picking from the ground up, with patience, constant practice and smart choices. 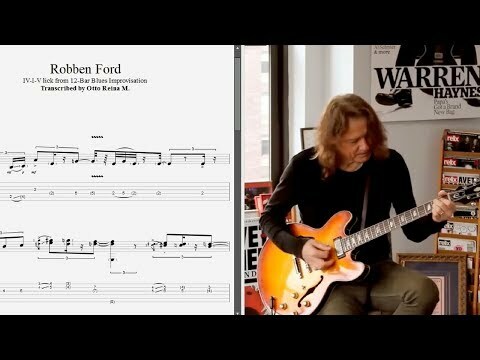 - Some videos even have tablature in sync such as the lessons that teach to play Cliffs of Dover by Eric Johnson. All audio, images and video content from/or being linked by this application is produced by amparoSoft, all of the videos are played, arranged or created by Otto Reina and amparoSoft.